I’ve been sick and needed a little pick me up, so I gave myself a quick, funky space-inspired manicure! Deep black creme with blue/green holographic glitter — looks like stars! Polish: Wet n Wild “Black Creme”, Sally Hansen “Scaled Up” and Seche Vite topcoat. 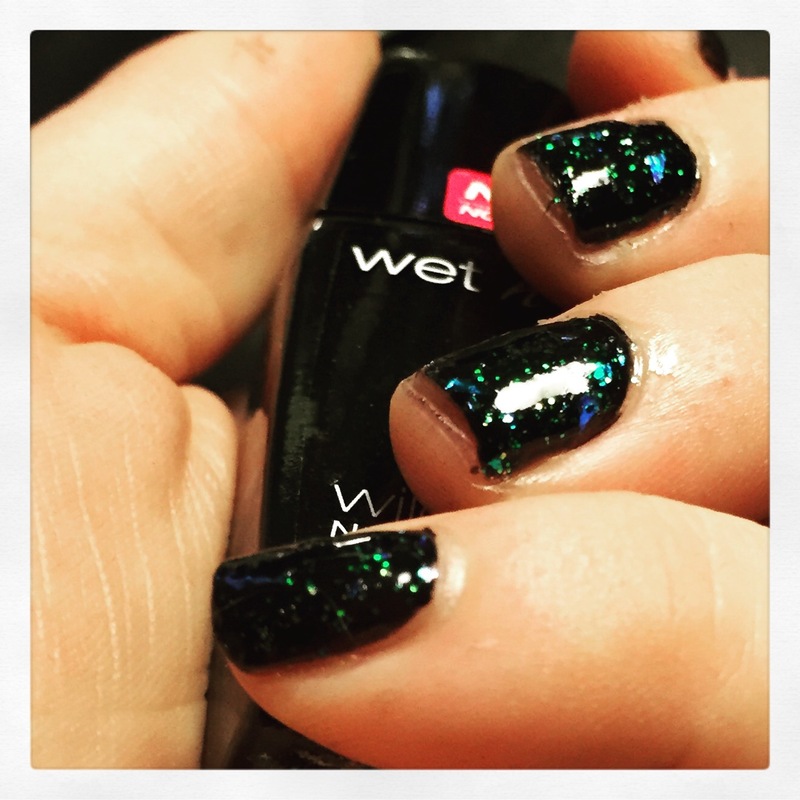 This entry was posted in Nailpolish, Nails and tagged black nail polish, glitter, goth fashion, holographic, manicure, space, sparkly, stars by Kristin. Bookmark the permalink.